Lenders repossessed eight percent fewer South Florida properties in the second quarter of 2012 on a year-over-year basis compared to the same April through June period in 2011 in Miami-Dade, Broward, and Palm Beach counties. Lenders - armed with the foreclosure process - forced a change in ownership of less than 8,800 properties in South Florida between April and June of 2012 compared to more than 9,600 repossessions in the same period in 2011 lenders forced an ownership change in 800 fewer properties in the second quarter of 2012 than a year earlier. The decrease in bank repossessions follows an unofficial moratorium on foreclosure filings in South Florida resulting from the Robo- Signer controversy that surfaced nationally in the autumn of 2010. 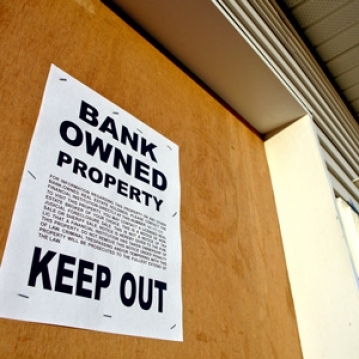 The total number of bank repossessions in South Florida may continue to slow in future quarters following the prolonged foreclosure filing moratorium period that was finally resolve in the first quarter of 2012. It is unclear how the slowdown in bank repossessions could impact the South Florida residential real estate market. As of July 12, 2012, less than 600 bank-owned South Florida Condos are on the resale market in the Tri-county region of Miami Dade, Broward and Palm Beach according to an analysis by the licensed Florida Brokers. The bankowned condos represent about four percent of the total number of condos on the resale market in South Florida. At the current second quarter of 2012 repossession velocity, lenders are on pace to force a change in ownership of less than 40,000 South Florida properties this year. In February 2012 after months of negotiations, the nation’s five largest mortgage servicers cut a deal with the federal government and the Attorneys’ General from 49 states to provide at least $25 billion in relief to borrowers. It is unclear what impact The National Mortgage Settlement Agreement will have on foreclosure filings going forward in South Florida. The settlement agreement has options – including principal reductions, mortgage modifications, and short-sales before filing to foreclose on borrowers who owe more than their residences are worth current properties from borrowers in default. Prior to the real estate crash, lenders generally expected the foreclosure process to take about six months to complete at a cost of about $40,000 in loss of debt service, unpaid taxes, damage, court fees, and attorney costs. In South Florida today, lenders now plan for a 700-day repossession process with a cost of about $100,000 per property. In the end, bank-owned properties offered on the open market generate a lower average price than properties sold as shortsales The strategy shift by the lenders has led to a 12 percent spike in condo and townhouse short-sales, reaching more than 11,350 transactions in 2011. It is important to note there are various stages to a residential real estate transaction in South Florida. A transaction begins when a property is made available for sale and ends when a title is conveyed from one party to another party as a result of the recording of a deed with the local government. As part of the process, a property typically goes under contract and into a due diligence phase by which a deal can be canceled.